In 1980 we seem to have slowed a bit, producing two structures, compared to the 3-4 we completed in previous years. I sometimes imagine there was a time warp, or black hole, in Seaview that allowed us to make houses and watch The Muppet Show while the world with Jimmy Carter as President and the start of Iran-Iraq war spun on by. Given the elaborate designs and detail work of each project, I still don’t understand how we did it, but the hows and wherefores are surprisingly vivid. The first structure of the year was The 20th Street Emporium, a Victorian commercial building, our first veering from strictly residential architecture. The clients ran a miniature shop, and wanted lots of rooms to show off their merchandise. The name was inspired by the 20th Street Drugstore where Noel’s dad would take him for malts as a young boy in Longview, Washington. 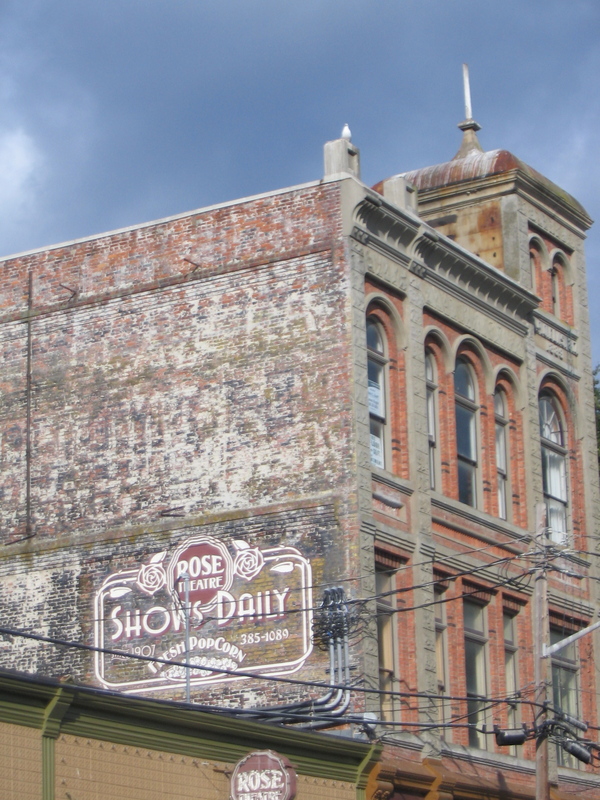 The design and signage came from a trip we took to Port Townsend, WA, a late 19th century Olympic Peninsula hillside seaport known for its ornate Victorian architecture. It was also our first venture into the world of B&B’s—an expenditure we justified by it being a research trip. I booked it over the phone. The woman I spoke with let me know that arrival after 6:00 p.m. would be extremely inconvenient. Sure enough, we dawdled along on the scenic 4-hour drive, exploring the Hood Canal, and arrived at something like 6:15. Our climb up the front steps to the house on the bluff was rewarded with a locked door. We rang the bell, and waited. There was a click and a buzz, but we moved too slowly and found the door still locked. Rang again, with one hand on the knob, and were buzzed in to a Victoria foyer, which opened into a large, ornately furnished room, with a check-in area empty of living souls. Across the room was another room, the dining room, with a velvet rope across the wide opening. At the table a family was engrossed in their supper, studiously unaware of our presence. We approached. When we got to the rope we said we would like to check in. The woman at the table rose stiffly, came around to us through another door, and told us to go to the desk and ring the bell. Despite the inauspicious beginning (and a couple of rather strained breakfasts with the owner and two other guests), we had a wonderful time. There was an iron bathtub long enough to totally submerge a body, though I was too frugal to fill it deeper than just covering my legs. Still, the bed was heavenly, and we were gaga over the Victorian-ness of it all. We explored the town, studied the rot and aging on glorious mansions, everyday houses and a slew of well-preserved 1880’s buildings downtown. The brickwork was our biggest discovery—finding out how bricks are laid in sections of 5 courses, with the bricks turned endwise (the end-width rather than the face-width of the brick) for the sixth course, for strength. Plus, it became apparent that bricklayers had their signature styles, and brickworks had their signature bricks. We spent most of our time with our noses 6” from the buildings, noting where things went wrong, or right. The signage was another find—Fisher’s Flour and Selz Blue Shoes being our favorites. Again, our interest was focused on how the signs aged, and how different they looked close-up and from a distance. It was also a weekend that almost changed our lives. We fell in love with the smaller Victorians, the views, and the town as a whole. 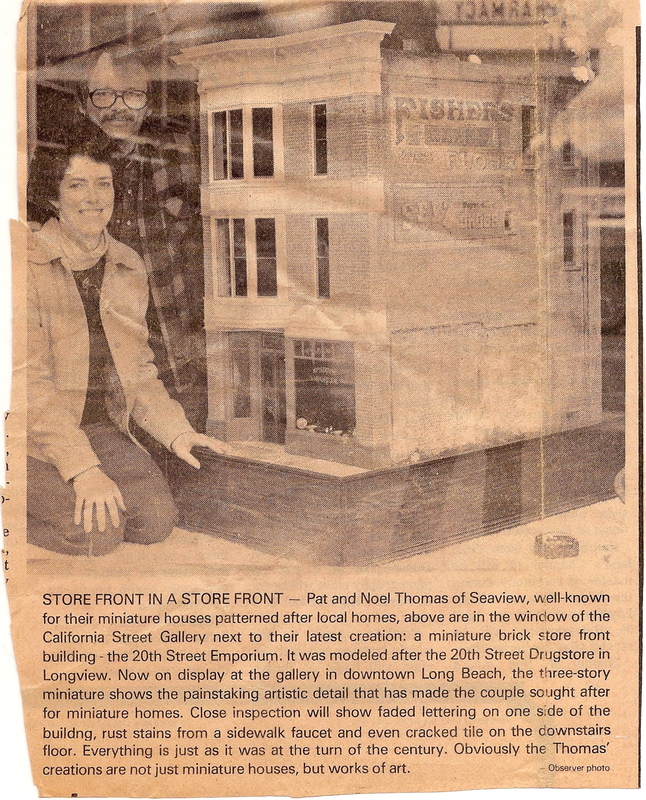 It was a lifetime source for our dollhouses, and a ferry ride from Seattle. While driving the hills we stopped and talked to a man working on a house we could easily imagine ourselves living in. He was fixing it up to sell—something like $20,000-$25,000., which in 1980 was steeper than it sounds, but still within our reach. Maybe. We could sell the house in Seaview, and move. We spent the evening dreaming and talking, but by morning decided we couldn’t afford to own a Victorian while trying to live on dollhouses. Plus we had endless clam digging and a community of friends in Seaview, and didn’t want to abandon that life. But we went away with enough photographs and dreams to carry us through the laborious months of bricking a miniature commercial building. Did we count how many bricks? Never. Didn’t want to know. 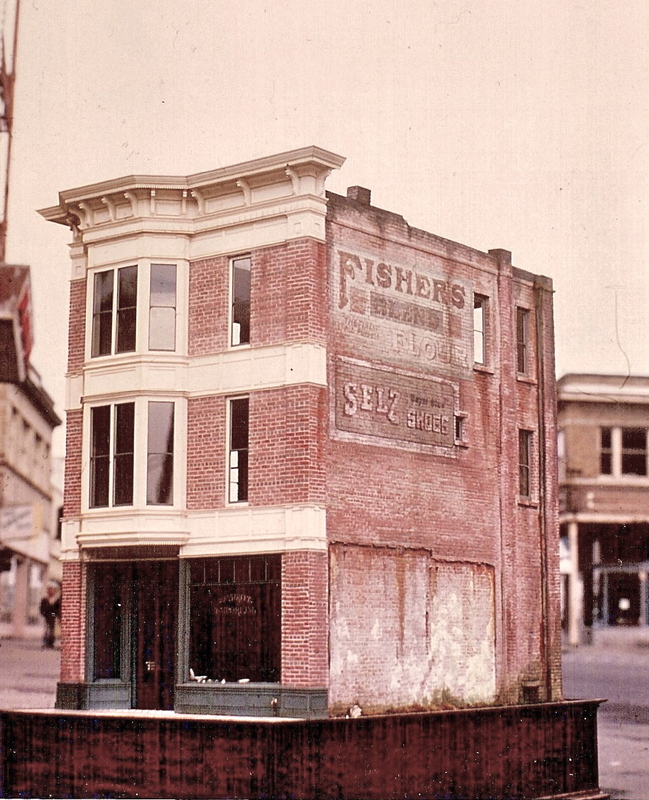 This entry was posted in Bio, Houses, Miniatures and tagged dollhouses, lifestyle, miniature bricks, Port Townsend, Victorian architecture, WA. Bookmark the permalink. Love your work and this blog — thanks for writing it. Great! Your imagination is as weird as ours. 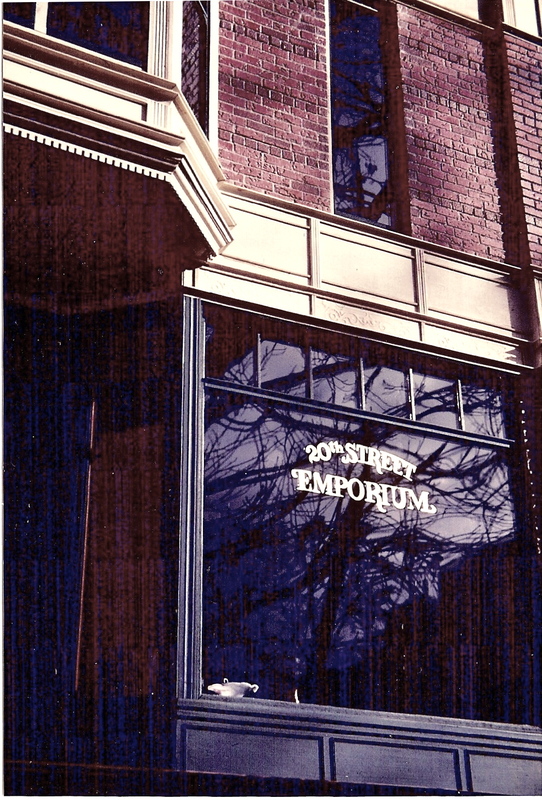 I spent many hours visiting the 20th street Emporium at the shop of the owner. It is the building that made me fall in love with dollhouses! I never saw it was with any furniture of objects in it, it was always left empty. I think that speaks to the fact that left empty it was truly a work of art and needed no furnishings to dress it up. After looking at your incredible brick work I would never have been satisfied using the standard commercial dollhouse bricks that the store sold.